MAF is pleased to announce that we have formed a business partnership with Infantino & Associates, a firm with over 40 years of experience in the workplace. Mr. Ron Infantino works with major carriers in the industry providing thousands of employees from public and private sector. Ron’s main focus in the manufacturing industry, allowed us to negotiate a complementary assessment session to our valued members, which can cost thousands of dollars if provided by a private company outside of the MAF. Here at MAF we strongly believe in providing value added services to our members, thereby binding and solidifying our relationship. These new Value-Added Services, are helping our members to meet their business goals, while helping employees face every day financial challenges. We believe by putting this in place you will have access to solutions that will increase your company’s profitability. For information on how to schedule your complementary session, contact us today. MAF membership is required for the waiver of fees. Today, the Manufacturers Association of Florida (MAF) announced their endorsement of Governor Rick Scott’s campaign for U.S. Senate. Governor Scott's commitment to the manufacturing business climate, job creation agenda, and business friendly stance during his terms in office as Florida's Governor made the endorsement a clear decision. MAF Executive Director, Amanda Bowen stated, "MAF is dedicated to education and training tomorrow's workforce through Apprenticeship programs. Governor Scott's work, including investing more than $2 billion in workforce development, challenging technical colleges and centers to better prepare students to meet community workforce needs, and signing legislation that allows students to use apprenticeships toward high school graduation requirements, is what our industry needs to succeed. MAF is proud to stand behind Governor Scott as Florida's next U.S. Senator as he has proven to be a leader who will fight to keep Florida competitive and bring even more success stories to our industry." 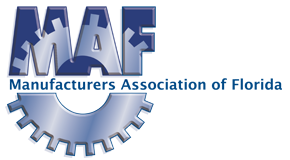 MAF, Florida's premier statewide association for the manufacturing industry, represents all industry sectors totaling more than 20,000 manufacturers across the sunshine state. "The manufacturing industry has blossomed and grown continuously under Governor Scott's leadership," said Al Stimac, MAF President. "Governor Scott's ability to successfully eliminate the sales tax on manufacturing machinery and equipment was a game changer for our industry and a great win for all of Florida. Under his leadership, the manufacturing industry is now responsible for more than 378,100 jobs across the state, and we are growing more year after year. His commitment to fight for the best needs of our businesses, and the future of our families, is evident. We look forward to his leadership as Florida's next U.S. Senator and the advances he will bring to the industry nationwide." Governor Scott championed and secured the permanent elimination of the sales tax on manufacturing machinery and equipment, saving Florida manufacturers more than $73 million each year.